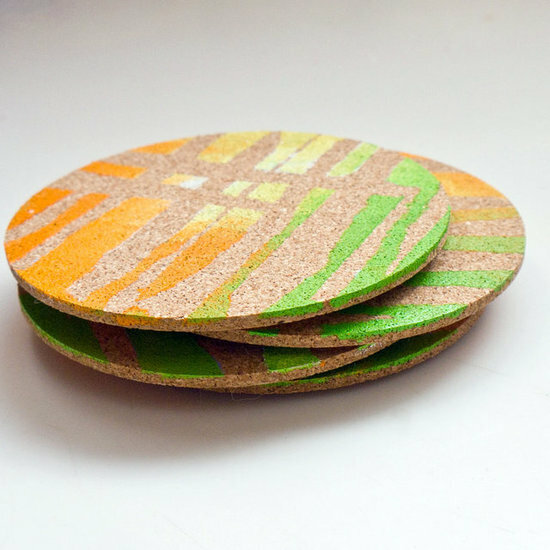 For less than $5, you can transform a set of plain cork coasters into funky-cool drink accessories with materials you already have around the house. 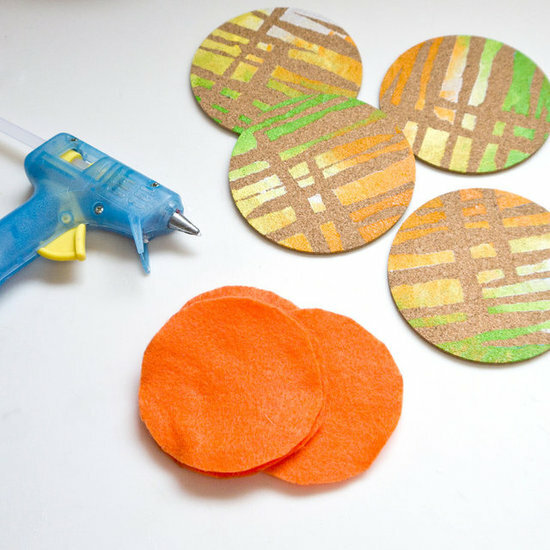 Keep the finished coasters for yourself or package them up for an impressive holiday gift. 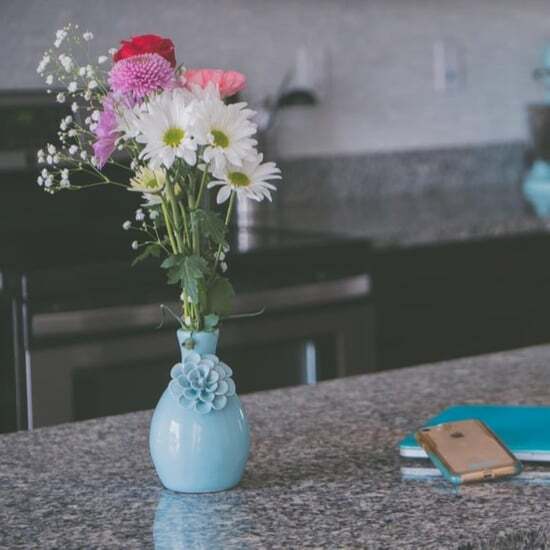 And what's really fun about this easy DIY is you can personalize the coasters with favorite colors and get creative with the design. Keep reading for the fun and simple directions. 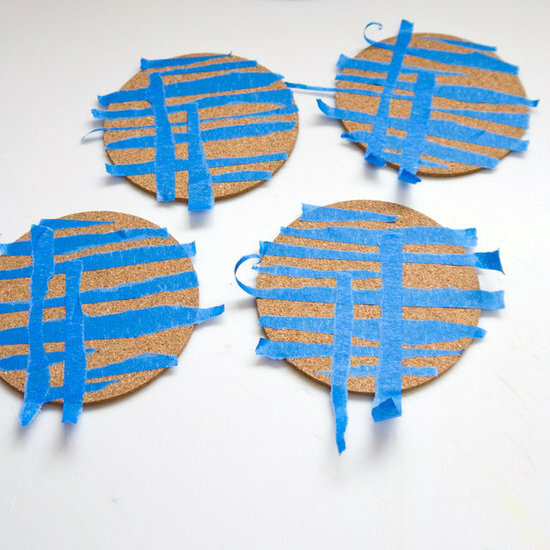 Start by gathering the materials and deciding on a color scheme for creating the coasters. 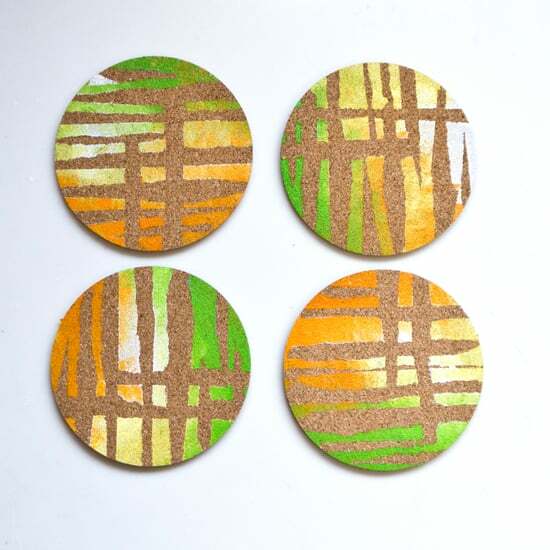 Use up to four colors for vibrant coasters or stick with two colors for a dramatic set. To create the design for the coaster, tear lengths of tape and arrange in a geometric or random design. 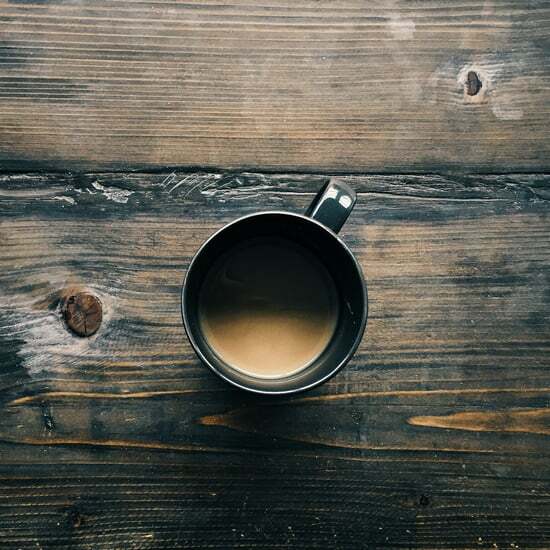 Make the coasters even more interesting by tearing the tape in half, creating long strips with ragged edges. 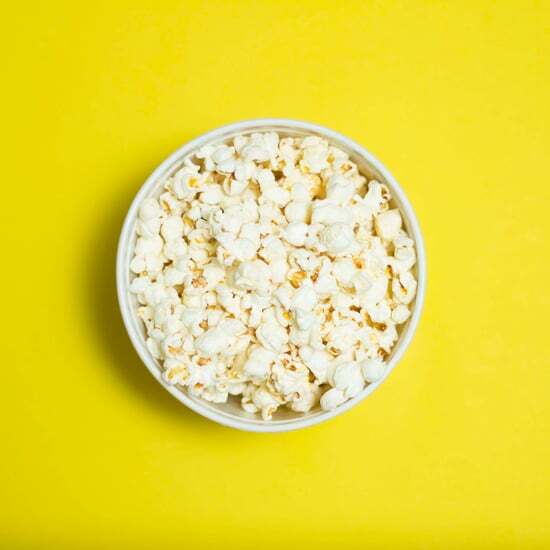 Or use scissors to cut the tape into thinner lengths for a cleaner look. 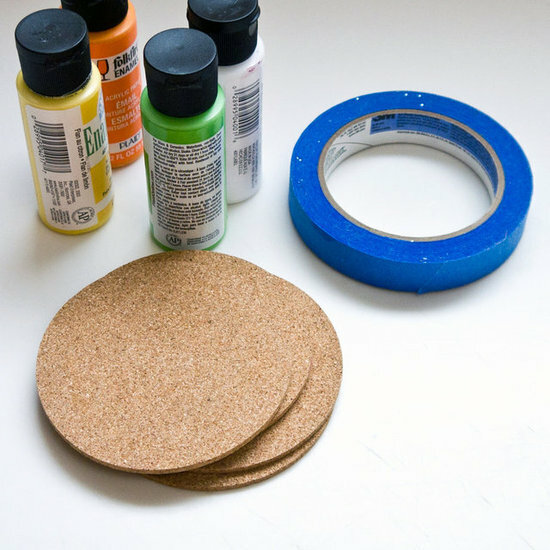 Place a layer of paper towel under the coasters and fold a sheet in half for the paint. 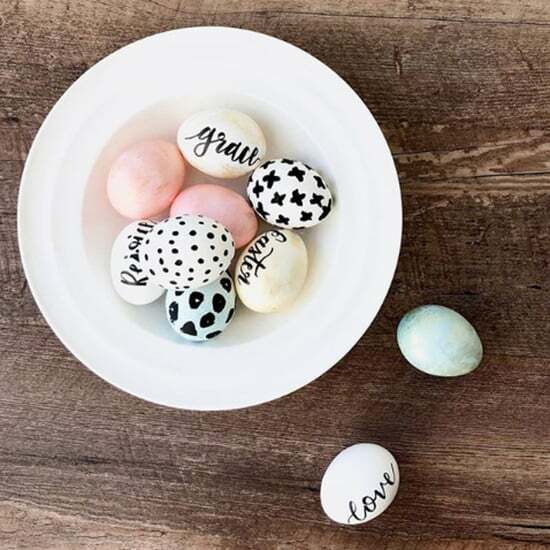 Squeeze a dollop of each color of paint onto the paper towel and begin dabbing the coasters using a foam brush or kitchen sponge, which allows the colors to blend into each other. Continue working until the coasters are covered in paint. 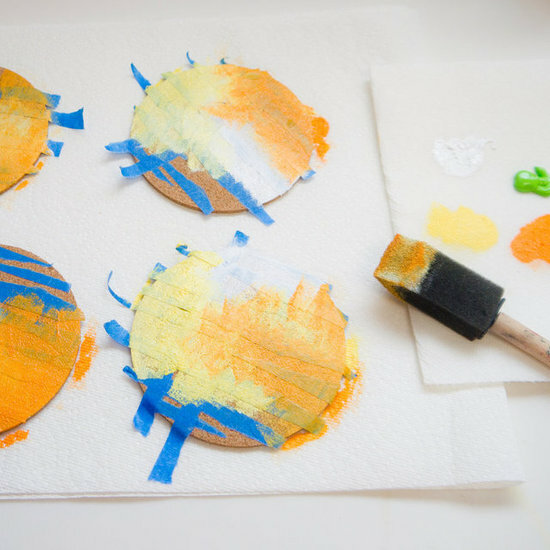 Allow the coasters to dry for at least two hours and then carefully peel away the tape, revealing the cool designs. 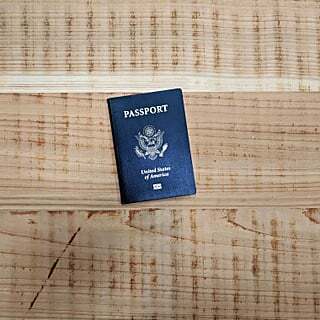 The coasters are ready to use or give as gifts, but adding a felt base gives the coasters a really finished feel. 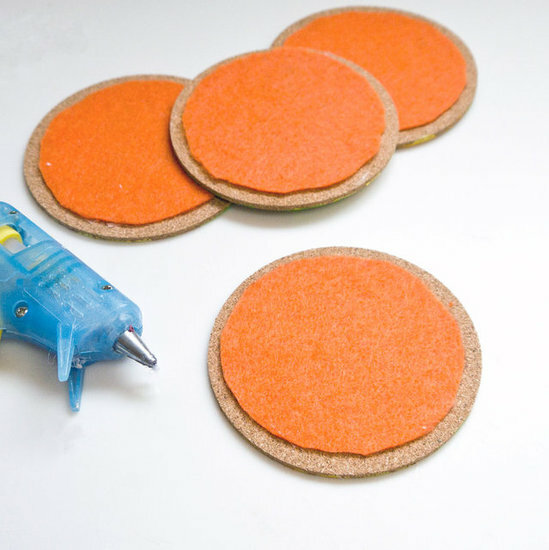 Cut four rounds from the felt and adhere to the bottoms with a hot glue gun.